Our article “Making Money on Etsy” was extremely popular, so I thought it would be good to follow up with some additional information to help make your business more successful. 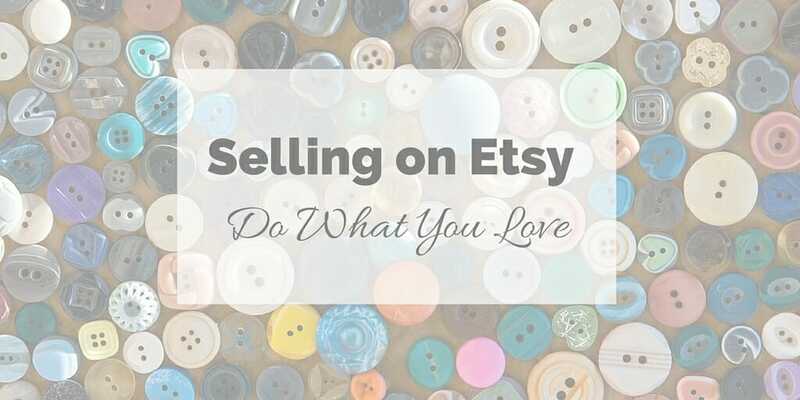 Etsy is an online marketplace where you can buy and sell handmade and vintage items. It is a wildly popular marketplace that has allowed many closet entrepreneurs to realize their dreams of starting a business. This article will discuss some of the ways that you can enhance your success on Etsy. If you are just starting out, I suggest you read “Making Money With Etsy” first. One of the things that makes Etsy such a powerhouse is how much business is generated from within itself. Etsy was able to create a tightly knit community of people who share a common goal/interest (that’s the power of Niche Marketing). With that tightly knit group of people comes business. There are a number of ways to participate in community on Etsy such as Discussion Boards, the Activity Feed, Etsy Teams, and Treasuries. Each of these bring different levels of community to Etsy, and using them consistently will help to ensure greater success on Etsy. You’re probably familiar with discussion boards, but at their most basic, they are a place for people to congregate and publicly post messages. Etsy offers discussion boards (affiliate) for many different topics, and this will allow you to join in on the conversation with other fellow Etsyers. In addition, there are forums to make suggestions for new features, and problems that you might find which are a great way to try and have your say in the way Etsy works. Did you ever wonder what happens when you favorite a shop or add someone to your circle? Head over to your activity feed and you’ll see the results. The activity feed allows you to keep up with your favorite shops, and friends on Etsy. It lets you know when your friends add others, favorite items, and favorite treasuries. The activity feed does a great job of keeping you up-to-date on what your circle of friends are doing on Etsy. Two heads are better than one. How about potentially hundreds or thousands of heads? Etsy Teams (affiliate) is an area of Etsy where you can apply to be a part of a team to help one another. Teams are organized any number of ways such as Christian groups, groups of people located in a certain geographic area, and so forth. Each group has a leader, and their own set of rules, so be sure you agree with the requirements before applying. Often, the requirements are to your benefit. An example would be to tweet at least 5 members products on Twitter each day, or create 1 treasury a week, etc. If you want to get a great leg up on Etsy, then join an active team of people and participate like crazy. Remember: out-of-sight is out-of-mind. Promote others selflessly, and you will eventually be promoted. Etsy Treasuries (affiliate) are collections of products that you assemble into a list for the world to see. These lists are then publicly available for people to browse. As an example, for valentine’s day, I might create a treasury titled “Caring Crimson” and find products that I like that are red, and possibly heart themed. When creating treasuries it is important to have a theme, and stick to it. The world of Etsy treasuries is extremely vain: looks matter. If you make a Treasury that looks good enough, it might be featured on the front page of Etsy (affiliate). Additionally, the people that you feature in it are alerted that you’ve included them in the treasury, and often they will go to it to comment. You build a great rapport with other sellers by promoting their items, and commenting with them. When you help others, you build a reputation, and you also build a rapport. Think of someone in your life who is always willing to help you, but asks for nothing in return. If they ever asked you for a favor, would you do it? I know in my life that not only would I do it, I would go out of my way to help that person. The Etsy community makes this type of interaction possible. You can answer questions on the discussion board, or brighten peoples’ day with a joke, you can promote a teammates products, or you can reward random Etsyers with a place in your Treasury. This is the kind of rapport that you will be building with the Etsy community. You won’t see immediate ROI, but you will in the future. Enjoy the community that Etsy has become. If participating in the community seems like too much work, then you might not be the right fit for Etsy. It is a lot more than a marketplace. I hope these tips help you, and I pray the best of success for you, your family, and your business. Don’t forget to checkout our other ideas for making money. My wife loves Etsy. She actually has two ideas for Etsy stores that she wants to implement this year, and in fact set a New Years resolution to have one or both open by September. I am doing what I can to support her. Thanks for the info. You’re very welcome! We love Etsy as well. I enjoy supporting small businesses, and I don’t think there is an easier way to know you’re supporting the tiniest of businesses than by purchasing items from Etsy. Your wife can do it, and I’m sure she will do very well. If you or her ever have any questions, please don’t hesitate to ask, my wife is becoming quite the pro, and I’ve learned so much from helping her (thus my Etsy articles, LOL)!